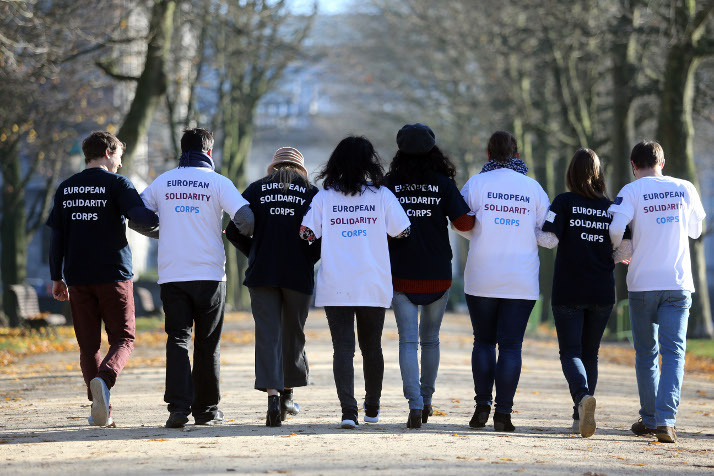 Can the European Solidarity Corps empower civil society and social enterprise? Home » Can the European Solidarity Corps empower civil society and social enterprise? The European Solidarity Corps is an initiative that brings together young people from across Europe and its neighbourhood into a scheme seeking to foster more solidarity while building on their experience. Launched in 2016, the European Solidarity Corps (ESC) is a scheme offering volunteer and work projects in 55 countries (EU 28 Member States + Partner Countries) to young people (aged 18 to 30). Through an on-line database, the registrants are invited to join pre-selected projects. A wide range of projects (2 to 12 months long) can be selected as long as they benefit the community and people in and around Europe (e.g. : helping to prevent natural disasters; assisting in centres for asylum seekers). Over the period 2018-2020, €375.6 million have been allocated to the scheme; by the end of 2020, the European Commission wants to see 100 000 young people joining. 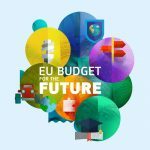 The proposal for the next European budget (2021-2027) suggests an envelope of €1.26 billion in order to broaden the opportunities offered through the scheme and allow some 350 000 young people to take part in a project. In December 2018, more than 93 000 young persons had registered (61.5% were women) and about 10 000 of them had been involved in solidarity projects. The primary destination countries were Italy, Spain and Poland with respectively 1007, 877 and 795 activities since December 2016. (EU DATA). What’s in it for Euclid’s members and their beneficiaries? The ESC scheme includes two strands of activities (volunteering and occupational*). According to their needs, participating organisations can therefore recruit ESC participants as volunteers, workers, apprentices or trainees. Euclid Network encourages its members to seek information and get involved with the ESC scheme. Civil society organisations and social enterprises can indeed benefit from this initiative and its potential to help raise awareness of our sector and its tremendous evolution in terms of social impact and job creation. Through the ESC, one can hope to attract new talents and future professionals to our sector, foster vocations and potentially establish long-term collaborations. The ESC scheme gives young people an opportunity to develop valuable experience that will help them shape their professional aspirations and increase their employability. Fostering European citizenship and solidarity, learning from other countries and cultures are core to Euclid Network’s mission. It pervades all our activities and our choices of European projects (such as the Erasmus for Young Entrepreneurs programme that we manage since 2009). While Euclid Network is happy to see more initiatives in favour of European youth and promoting the increase in solidarity-based projects, we want to stress the importance of sound and systematic monitoring and evaluation of these types of projects. It is crucial to ensure that the ESC’s implementation is done to ensure quality placements and does not give way to volunteering placements replacing paid work. Euclid Network would also want to see concrete steps taken by the European Commission to make sure that the scheme reaches out to young people from various backgrounds, including those in vulnerable situations. For that, we also call out to our members and their beneficiaries, for we believe that our organisations are best placed to move the scheme’s cursor towards a less privileged youth. The scheme is open to public and private entities as well as international organisations. Organisations wishing to receive young people through the ESC are invited to first apply with their National Agency for the ESC Quality Label. They can then put projects forward as long as they “fit with the Mission and Principles of the European Solidarity Corps”. Only then will the organisations be able to access the database of participants. Volunteering experiences in another country. No payment for the work but other support depending on the EU programme funding the placement (often return travel to and from the project, accommodation, meals, medical insurance and a small amount of money to cover day-to-day living expenses). We note that the ESC builds on and embraces actions from Erasmus+ and receives funding from it. Take on a job, traineeship or apprenticeship in solidarity-related sectors. The individual receives an employment contract and will be paid for the job they do in accordance with the respective national wage laws. The 2019 ESC Call for proposals is out! You’re interested but would not know where to start? Want to understand the requirements and assessment process of organisations and projects? Then join us on 7th February in Brussels for Euclid’s (EU) Project-Building Workshop. A representative of the European Commission, Directorate General Education, Youth, Sport and Culture will be with us to answer all your questions! Euclid Network receives EU funding through a framework partnership agreement 2018-21 within the EaSI programme. The contents of this website reflect the views of Euclid Network and the European Commission is not responsible for any use that may be made of the information this site contains. We are a non-profit company limited by guarantee no. 06433321 in the UK (since 2007) and an Association in the Netherlands with RSIN 858326619 (since 2017).